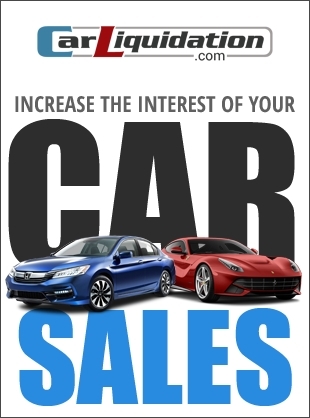 Nowadays, more and more people are turning to auto auctions to find cheap reliable cars. An auction is the quickest way to fasttrack the car buying and selling process. You are sure about the car you are buying because its specs are itemized in detail. Auto auctions are not as stressful as traditional car buying, which makes you levelheaded when it comes to your decision making. What attracts buyers to participate in an auction is that they have rare cars up for bidding. One of the perks of purchasing a car through an auction is you avoid dealer markups. When you buy cars through an auction, you are betting you know what you want, that you can recognize a car’s strengths and faults, that you know what it’s worth, and that you have the cool head to stop bidding at that point. The attraction of auctions is that there are rare cars to be had that are not found anywhere else. Auctions also let you avoid dealer markups or pushy owners and car sellers. Avoid getting duped by sellers and learn how to bid like the pros by following these 5 simple car auction tips. Write down the VIN from the base of the windshield for any car you're considering to bid on. Then check other places where the VIN might appear, such as door, trunk, and lid stickers. If the numbers don't match, the car may have been in a major accident and has been rebuilt. Online resources such as Kelly Blue Book and Edmunds give a general idea of how much used cars are worth. You can also research local prices on Craigslist and in classified listings. If you are not 100% about a car’s value, do not act like you know its worth. Vehicles at auction sell in "as-is" condition. This means that there are no guarantees, no warranties, and no means of legal recourse. If you are not confident about a vehicle’s “as-is” condition, do not place a bid. Take your time. Pay close attention on the activities on all the cars that are up for auction. Be mindful of suspicious activities, such as bidders who seem to be active on every lot; they may be trying to markup the prices. Go to a few auctions before participating in one yourself. Get to know the players. It's easy to get carried away during bidding and wind up spending thousands of dollars more than a car’s worth. Don't pin all your hopes on one vehicle. Be ready to walk away. If you have to take the bus home afterward, it's still better than winding up with a clunker.